Experience all-new adventures with fan-favorite characters from the hit Emmy Award-nominated Cartoon Network TV series, Steven Universe! From learning to paint to helping Connie with her “research”, this collection is packed with great moments featurings Beach City’s Crystal Gems. 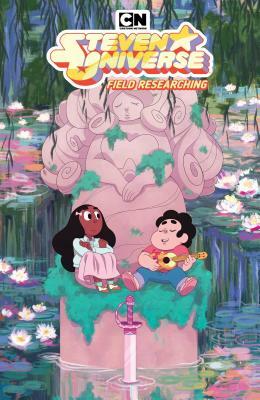 Join writer Grace Kraft and illustrator Rii Abrego as they keep Beach City weird in these ongoing adventures from Cartoon Network’s hit show Steven Universe.